Sometimes, I’m absolutely clueless as to what to give certain people. When that happens, I know many default to a gift card. I have to say that I’m just not a fan of gift cards as my husband and I are terrible at spending them! Some end up sitting around for years, we lose them, or just plain forget to use time and time again. So instead, I’ve turned to giving useful gifts. Depending on the person, that may be a food item, a kitchen tool, and, my favorite, soaps! 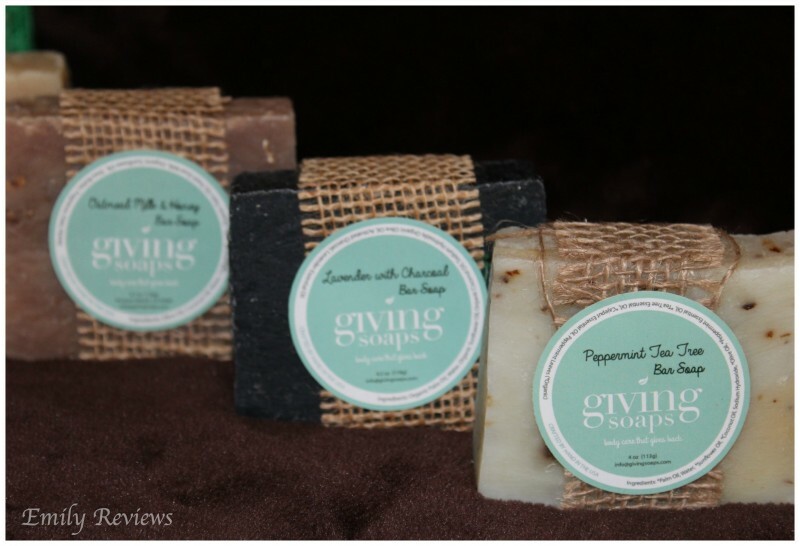 So on today’s 2016 Holiday Gift Guide stop, I’d like to introduce everyone to Giving Soaps. Sending a big thank you to Giving Soaps for partnering with me! Giving Soaps offers a wonderful variety of products made from plant-derived materials. From bar soaps that smell amazing to body lotions that are smooth and moisturizing to specialty soaps, balms, and even an essential oil roller for headaches! The bar soap and accessories from Giving Soaps ranges from black currant vanilla, cherry bark and almond, cinnamon, lavender, lemongrass, and more. Some are created as all purpose bars while others are geared as shaving or facial soaps. And I have to say, ever since my Giving Soaps package arrived, my office smells heavenly! Every time the kids walk in, they ask what smells so good! Also in the Giving Soaps line up is an offering of 15 different lotions, including unscented. I really like that they offer these luxurious, moisturizing lotions in three different size options: 2 ounce, 3.3 ounces, and 15.6 ounces. 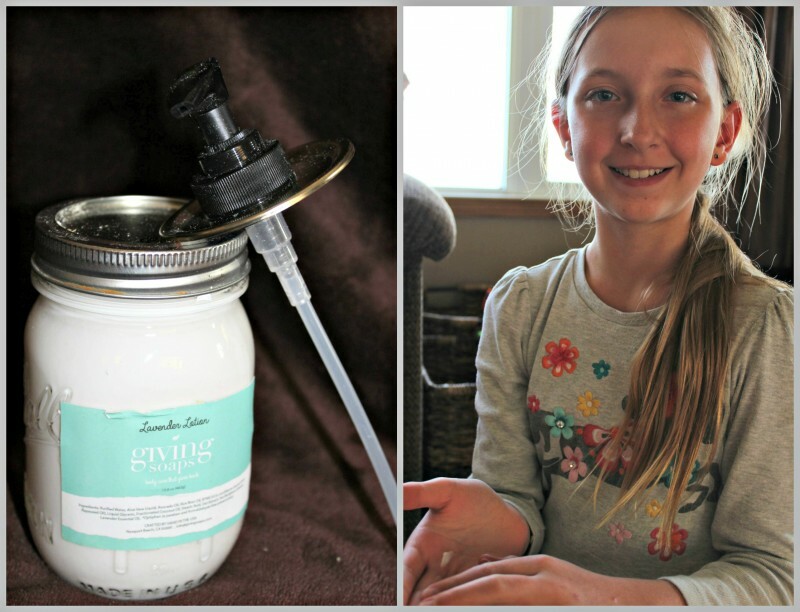 Handmade, Giving Soaps lotions don’t just cover up dry skin, they heal it! 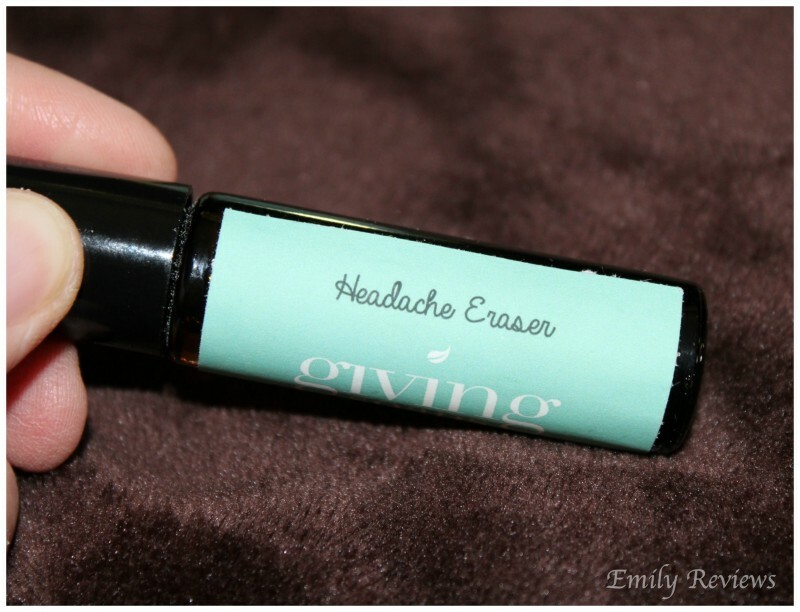 The last product that I want to touch base on is their Headache Eraser Essential Oil Roller. Unfortunately, I suffer from headaches and migraines. I do chiropractic care to manage them and stave off the migraines but still deal with at least slight headaches on a weekly (sometimes more) basis. I’ve been using the Headache Eraser often since its arrival and I’m thrilled to say that it definitely does help! I think I need a second Headache Eraser for my purse now so I can be prepared everywhere I go. I also wanted to note that Giving Soaps packaging is all Eco-friendly too! It will either be compostable, repurpose-able or recyclable and even the products inside are surrounded by shredded paper for cushion. So feel good this Christmas giving a great gift that is also done at zero cost to the environment. 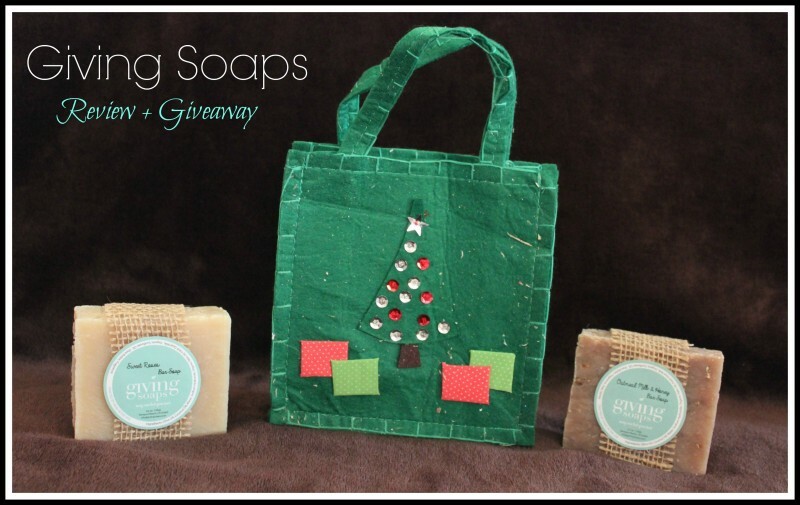 Keep reading on how you can create a mini gift basket of Giving Soaps items for a fantastic gift this year! Buy It: Head over to Giving Soaps to see for yourself the great selection of products they offer. 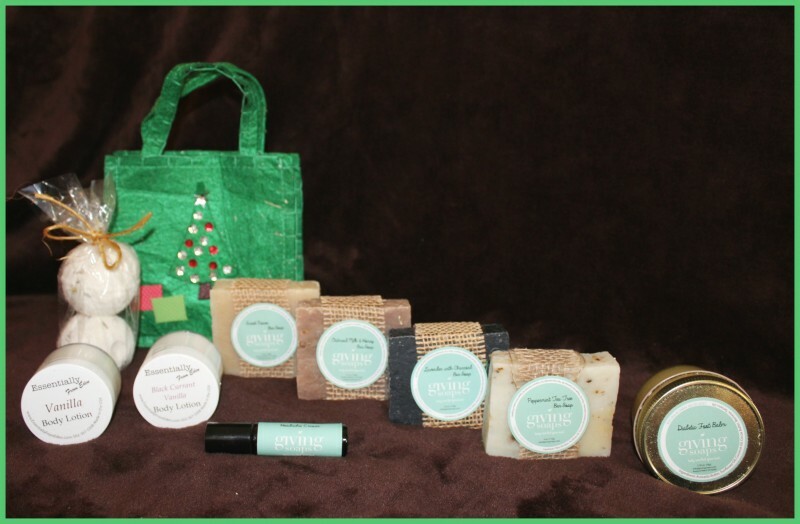 Free Gift Basket With Order: Giving Soaps will include a free mini Gift Basket (approx. 6″x5″x3″) that can hold several products and makes a great presentation! Just add a bow. ***Be sure to leave a note in the comments box of the order form that Emily Reviews sent you and you’d like a basket. *** Good while supplies last. Connect: Don’t forget to like Giving Soaps on Facebook and follow them on Instagram and Pinterest for all the latest news and promotions. 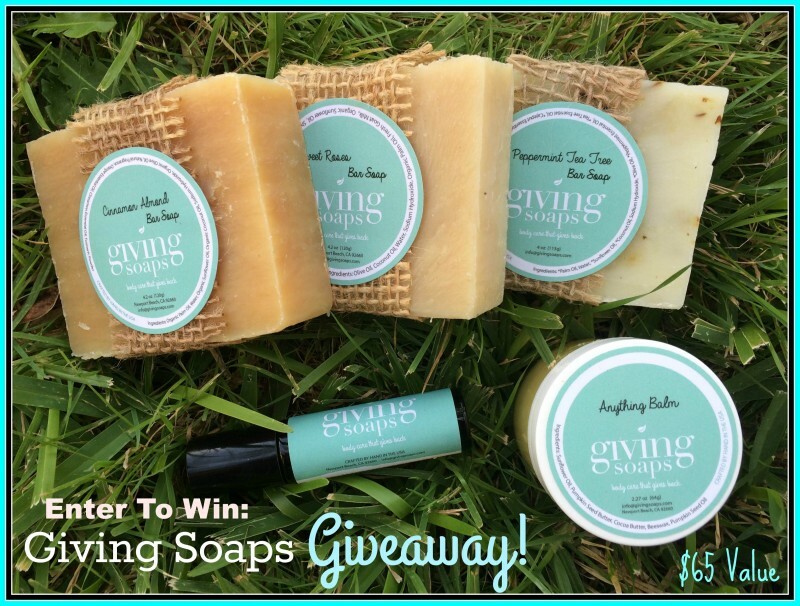 Win It: Giving Soaps is generously offering one of our lucky readers a prize pack consisting of: any 3 bars of soap, either a lotion or a balm, and one headache eraser for a total value of $65! This giveaway is open to the US only and will end November 27th, 2016. For your chance to win, enter the Giveaway Tools below. Good luck! These soaps and lotions seem wonderful to use. I would love to receive any of them for a gift and I am sure the scents are fantastic. I think the headache eraser sounds terrific to try. t like medicating, which upsets my stomach. this headache roller sounds great! I love and adore homemade soaps and products!! I swear the fragrance is just good for the soul!! So heartwarming!! The headache roller sounds like a godsend! What a wonderful idea for a gift! I am such a fan of aromatherapy. Certain scents just work well for the mind and soul. I like giving baskets of products at Christmas since you can personalize the gifts and make it any size. It’s an inexpensive gift that looks like you spent a lot too.